MMM14 Update plus a little baby news! Finally! After waiting and waiting and waiting. Due Date + Nineteen Days of waiting! 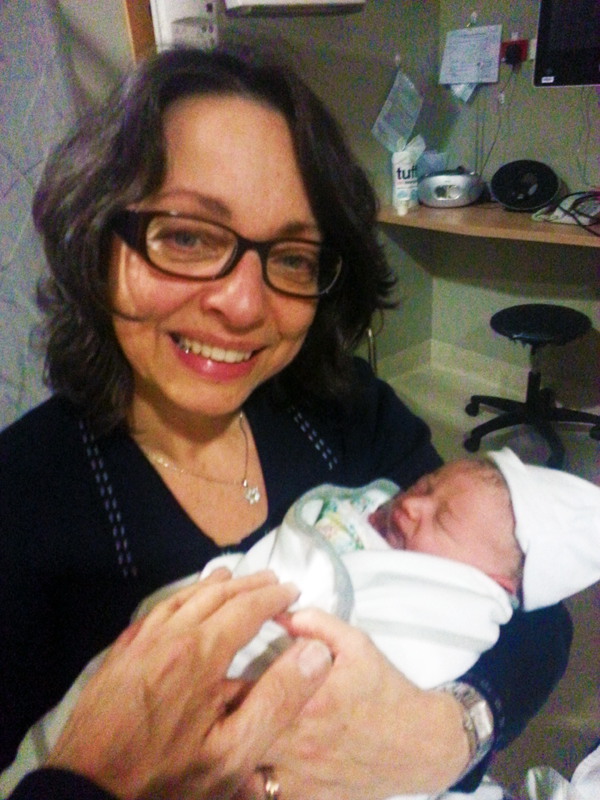 We now have a darling new little grandson! He was born last Sunday in the afternoon. On Mothers Day – perfect, yes? My amazing daughter had stuck to her guns, and allowed her baby to say when he was ready to come out and meet us. After reading and researching and thinking and discussing, she’d armed herself with the knowledge that, for so many reasons, it was best to avoid being induced, best to avoid having a cesarian, and best to allow nature to lead the way. I am so infinitely proud of my daughter. Her calmness, and her intelligence, her ability to sift through the mountain of opinions out there on the interwebs, and in books and in medical testimony, and do the thinking required to resolve for herself the questions she had about what was going to serve her baby’s best interests. An ambassador for natural versus contemporary fashion dictates, she stood steadfast in her convictions, and without potential stubbornness, faced the concerns and questions of her family and peers with a clear mind, and confident grace that I am so in awe of. So we headed off to Sunspun. 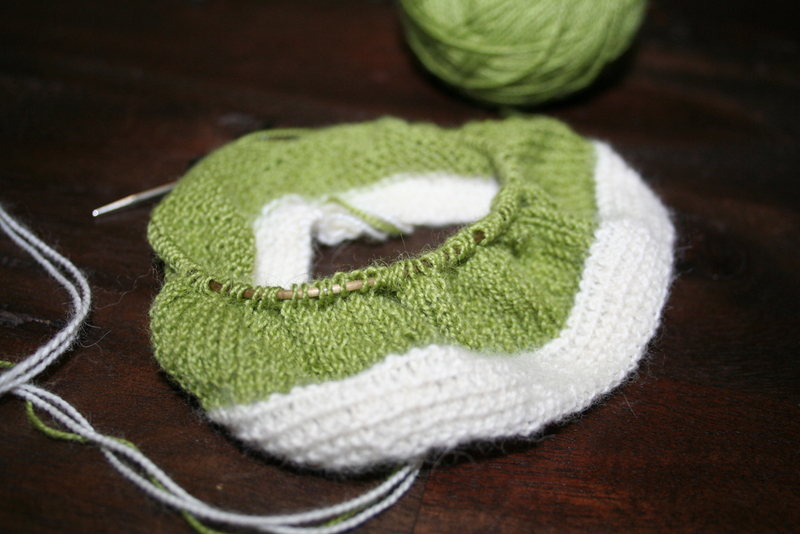 As you know, I’d gotten it into my head that I wanted to knit a few little baby hats with little matching booties. I’ve been collecting patterns. Each time the Purlbee newsletter would come round with a newborn pattern, I saved it in a special folder, and lately, I’m sure I’ve spent way too much time on Ravelry, finding new and lovely little patterns that would find their way into the shopping cart. By Saturday night, I’d already rewound both skeins of Shibui Cima, and cast on the 108 stitches for the first little hat. By Sunday afternoon, walking around the house in my dressing gown, the ball of wool in my pocket, the tiny 12″ 2.75mm circular needle click-clacking as I walked, I’d done about a third of the hat. I desperately wanted to have the hat finished by the time the baby was born, but the little darling popped out and we rushed down to the hospital to meet him. 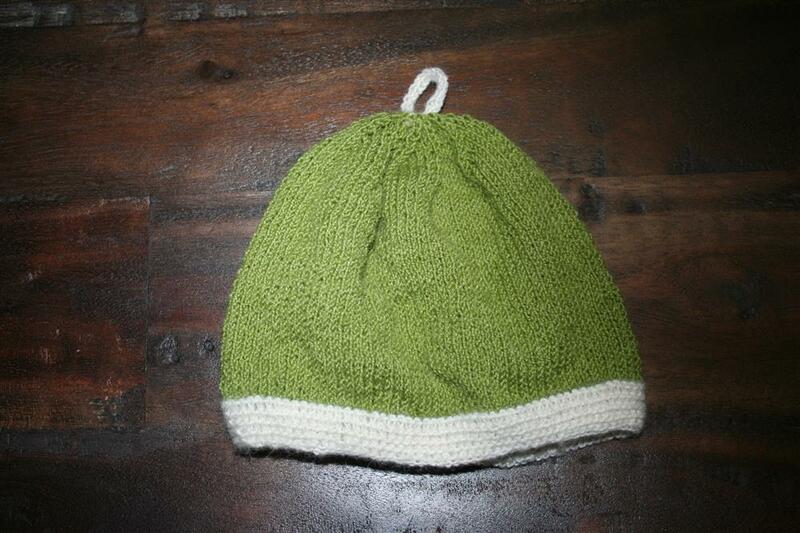 Purlbee – Heirloom Hats for Newborns – finished! So, you can perhaps understand when I say I haven’t really had my attention on Me-Made-May’14? Yeah. I’ve worn a couple of my hand-sewn clothes, but no photos to show for it, so you’ll just have to take my word for it. And as for sewing? Nothing much happening there either. Lucky there’s still half of May left! Are you doing MMM’14? How are you doing with your pledge?